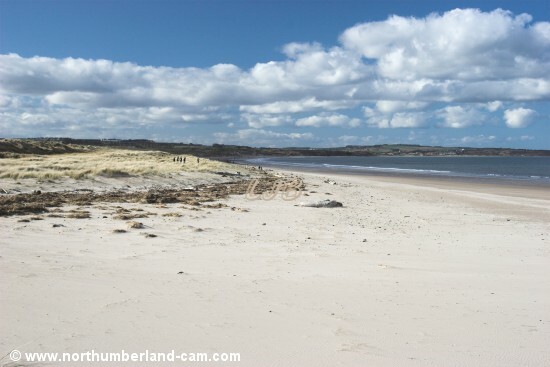 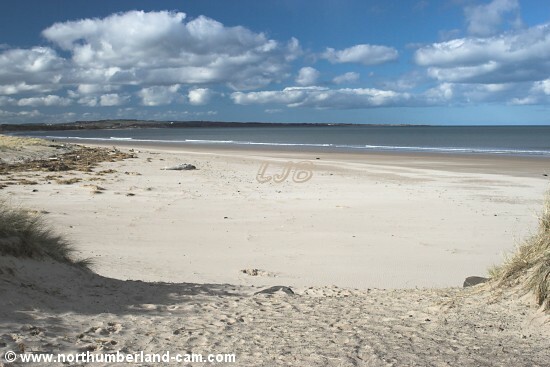 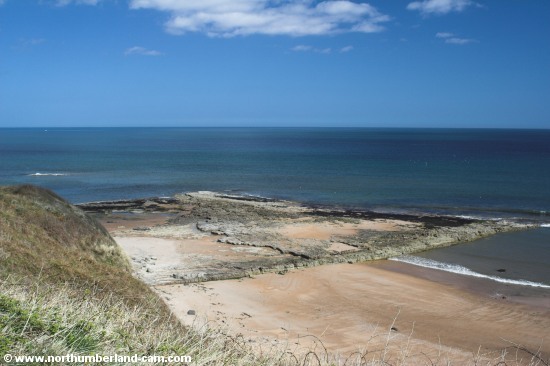 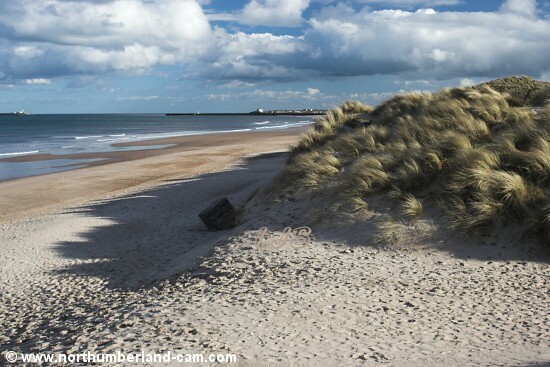 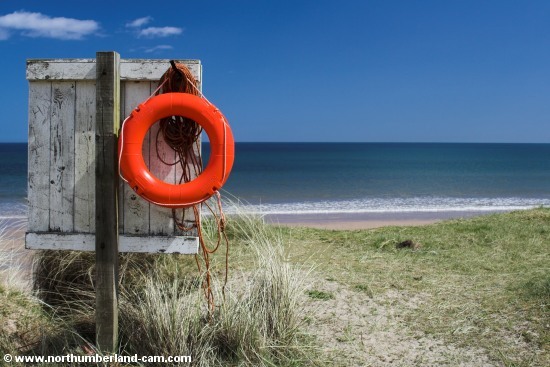 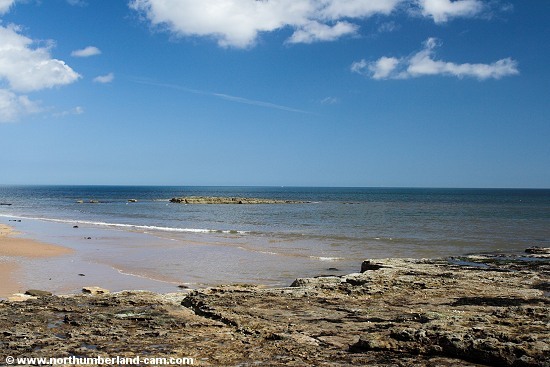 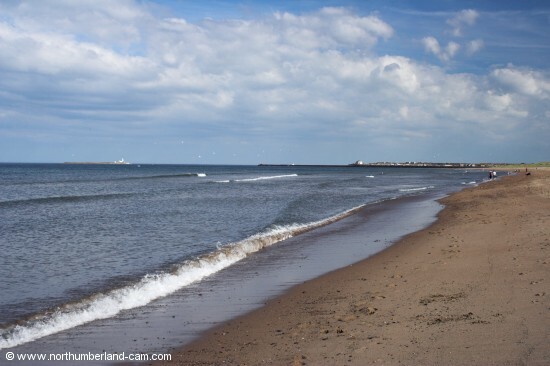 Warkworth beach is a superb beach that runs from Birling Carrs to Amble Breakwater. 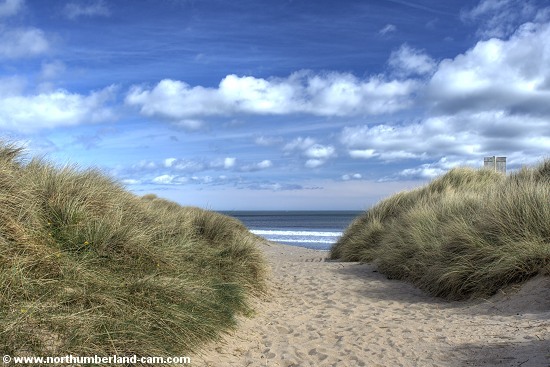 Many people who visit the village and famous castle are probably not aware of it's existence. 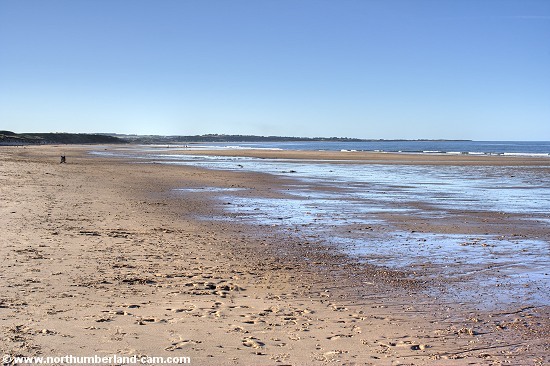 Reached by a road from the village and then on foot, the beach is popular with walkers and sea anglers, as well as families in the summer. 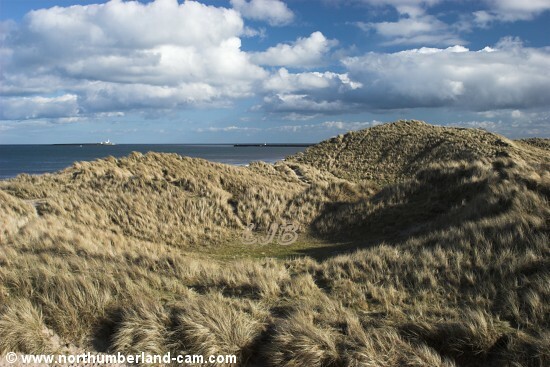 There are fine views down Coquet Island and Amble, even better for those who climb to the top of the high dunes. 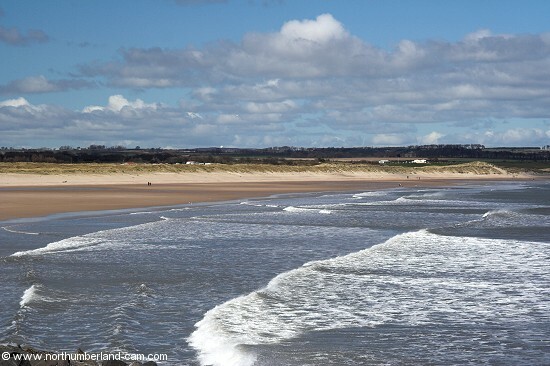 Warkworth Beach seen from Amble Breakwater. 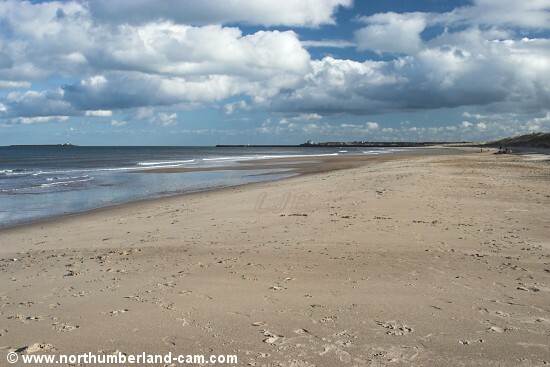 View south along the beach to Amble. 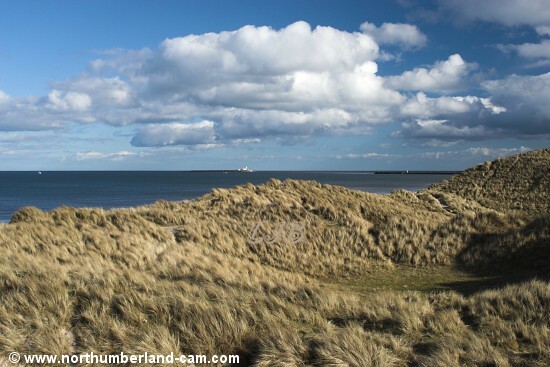 View from the beach to Coquet Island. 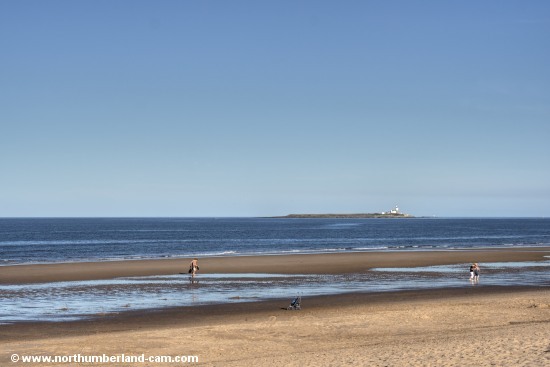 Amble Breakwater and Coquet Island. 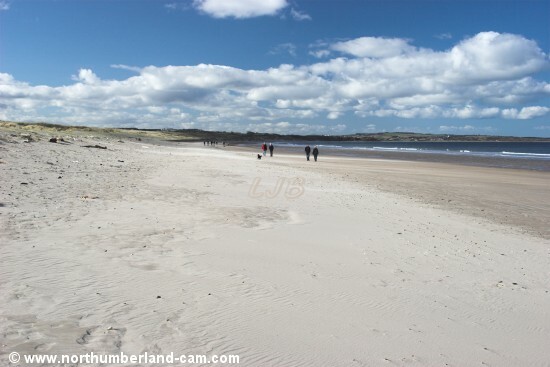 Views looking south along Warkworth Beach. 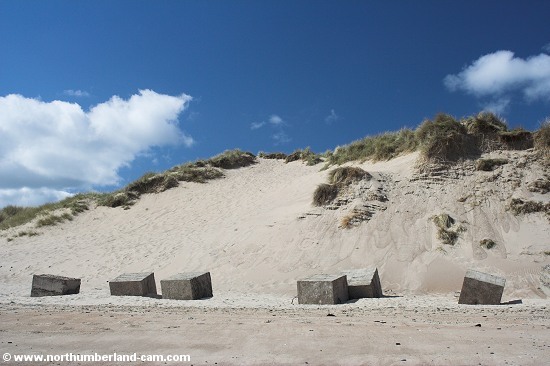 Large sand dunes and World War 2 anti-tank blocks at Warkworth Beach. 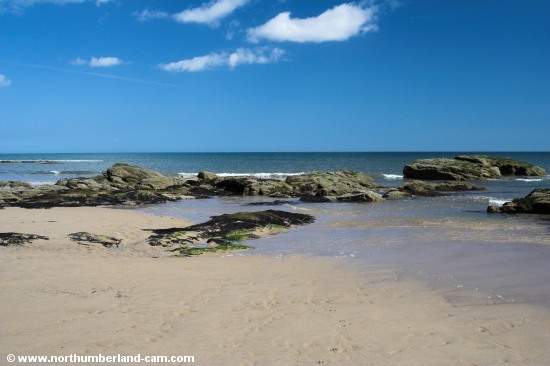 View over the beach to Birling Carrs Rocks.